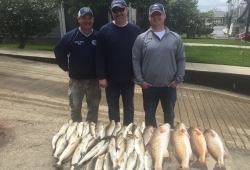 Thanks to Skip Keen his son and brother in law for fishing with me today. 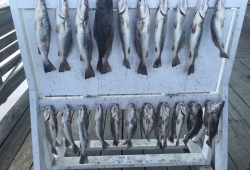 We had a good box of trout and some good reds. Skip brought his son fishing while he was home on leave form the service. All three are from the north shore in St Tammany. David and his two sons were my guest today. David is a piano tuner from New Orleans. 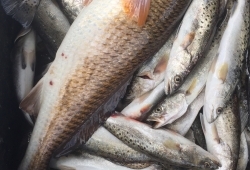 All caught speckle trout and one nice flounder, outside of Lafitte La. Two of my guest today were from up north visiting their daughter, sister, and friend who live in New Orleans . 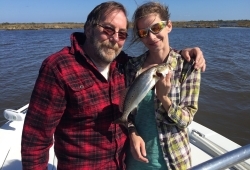 We had a great day catching lots of speckle trout. Thanks to Cecilia, Toni, Steve, and Marshall for booking with me. 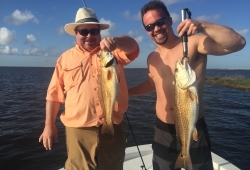 Had Cris, Steve, and Bobbie on board to do some red fishing out of Lafitte La south of New Orleans. Had a great day on Gulp Riple Shads and a buzzbait that Cris was throwing. 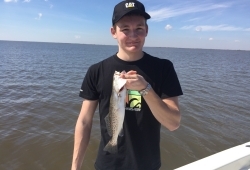 Three friends from Germany came down to the delta for a day of fishing and exploring. 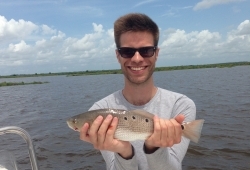 Jan, Christian, and Mathew enjoyed their adventures on the bayou out of Lafitte La. 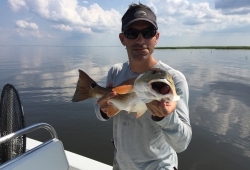 The boys caught some fish and experienced the vast beautiful delta while down visiting New Orleans. On Friday afternoon Jerry and Steve Melchiode and Juliana Monceaux were my guests. 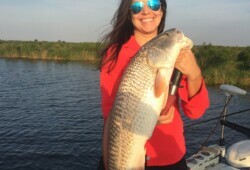 The weather was perfect and the reds were cooperating. 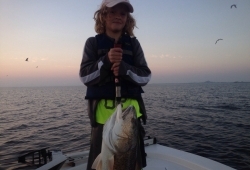 We enjoyed a nice evening catching reds free lining. It was nice seeing the brothers again!